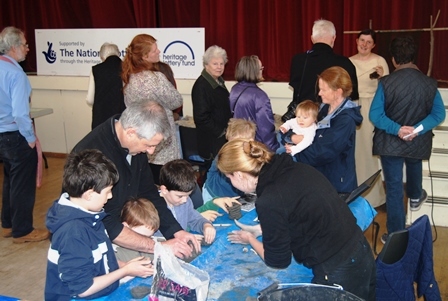 The Crafting Day was a key event for the Feats of Clay project. 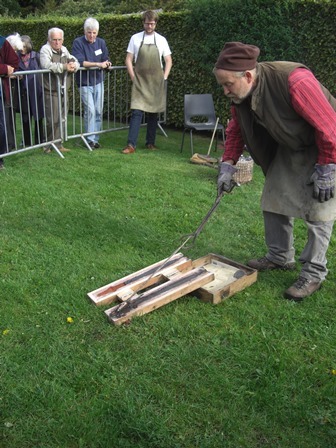 A number of craftspeople were invited to provide demonstrations, and where possible, hands-on workshops relating to crafts used in the Bronze Age (3500-800BC). 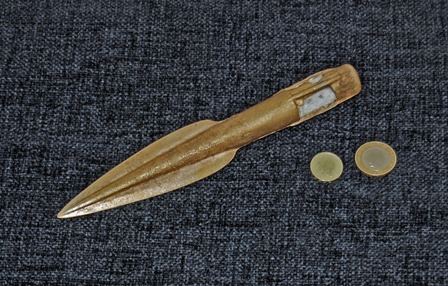 Neil Burridge, a bronze caster from Cornwall, cast three replica late Bronze Age (1000-800 BC) objects: a sword, a sickle (based on the mould fragments found at North Kessock) and a spearhead. 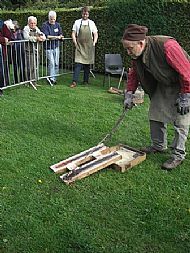 He was excellent, discussing the science behind the activity, the technological expertise of Bronze Age metalworkers, and other aspects of bronze working. 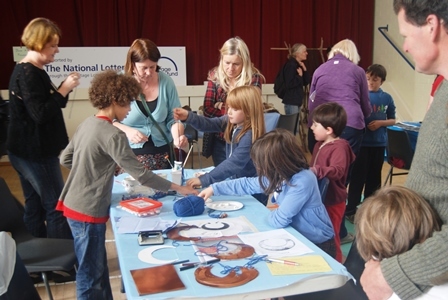 Everyone who attended learned something from the activity, and commented on what a fantastic opportunity it was. 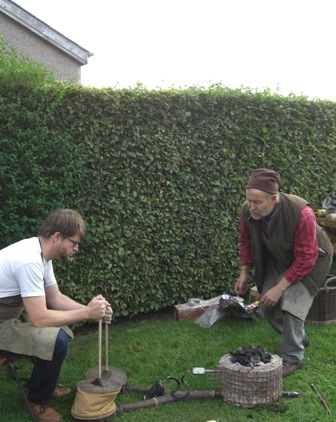 See below for You Tube video of Neil casting bronze. 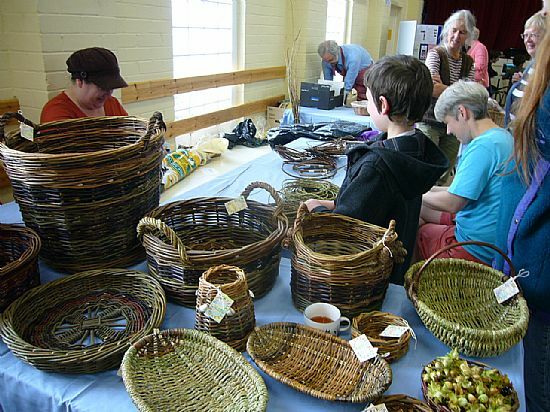 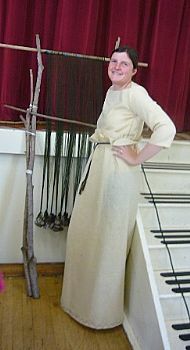 In addition to Neil, Susan Finlay provided hands-on basket and rope making, and had people at her table throughout the day. 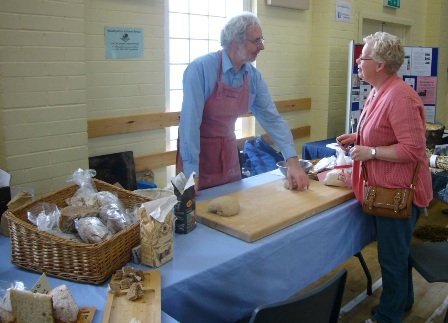 Gordon Gallacher demonstrated bread making, discussing the types of grains available, and allowed people to have a go at kneading. 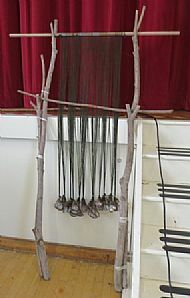 Lynne McKeggie set up a replica loom made of branches and stone weights, providing people with the opportunity to learn about and try out various textile crafts. 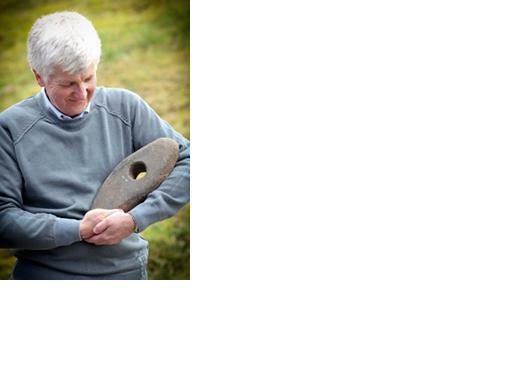 Orlene McIlfatrick from Edinburgh, a potter and expert on historic ceramics, helped people create pots using clay from Munlochy Bay. 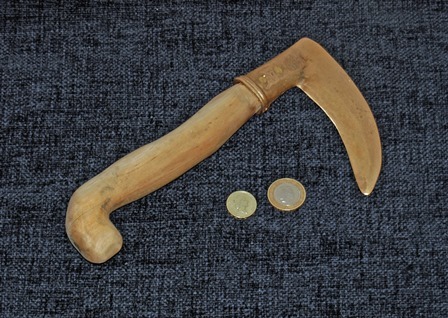 Tom Banks from Aviemore demonstrated woodworking techniques and created a handle for the sickle on the day. The National Museum of Scotland allowed us to use their ‘Build a Roundhouse’ program on computers, and Trevor Cowie, their Bronze Age specialist, came for the day. 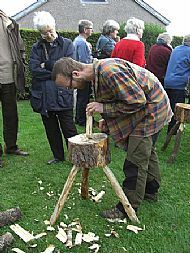 Daniel Sahlen from Sweden, who is analysing the clay sources of the mould, also came. 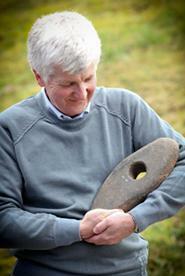 Seen here helping Neil by keeping the bellows going. 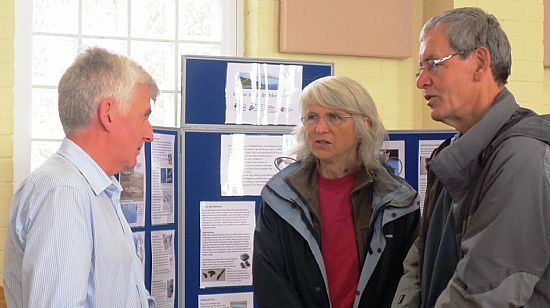 Both were happy to engage with visitors and answer queries. In addition there were craft activities for children, including creating Bronze Age jewellery. 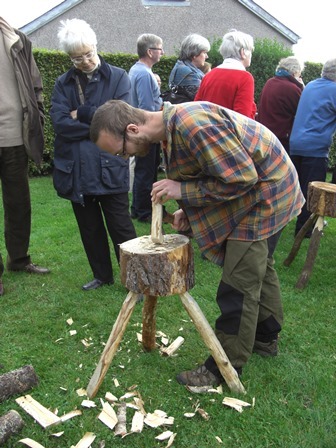 Altogether it was a fun-filled and informative day, which had very favourable feedback on forms and verbally. 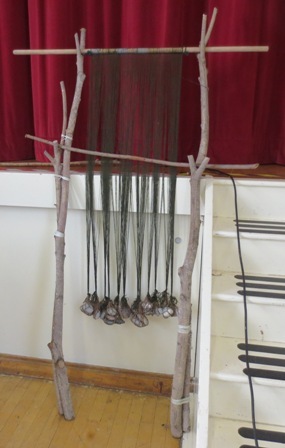 As wel l as attending the Crafting Day Neil and Orlene were able to visit Fortrose Academy on the Thursday and hold workshops with pupils there. 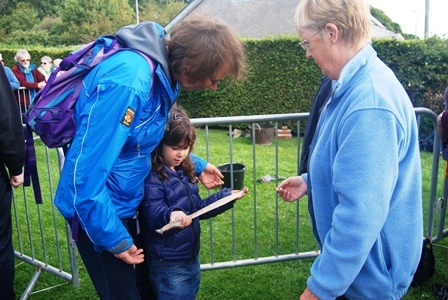 The Heritage Lottery Fund allowed us to engage visiting experts from Cornwall, Edinburgh and Sweden, enabling us to have such a dynamic and informed team on the day.